Three final year Creative and Professional Writing degree students from the School of Humanities - Charlotte Ford, Matt Leppington and Chloe Brown - took over the social media channels for the University and live-blogged at the inaugural TEDxWolverhampton event held at the Light House Media Centre in the city. 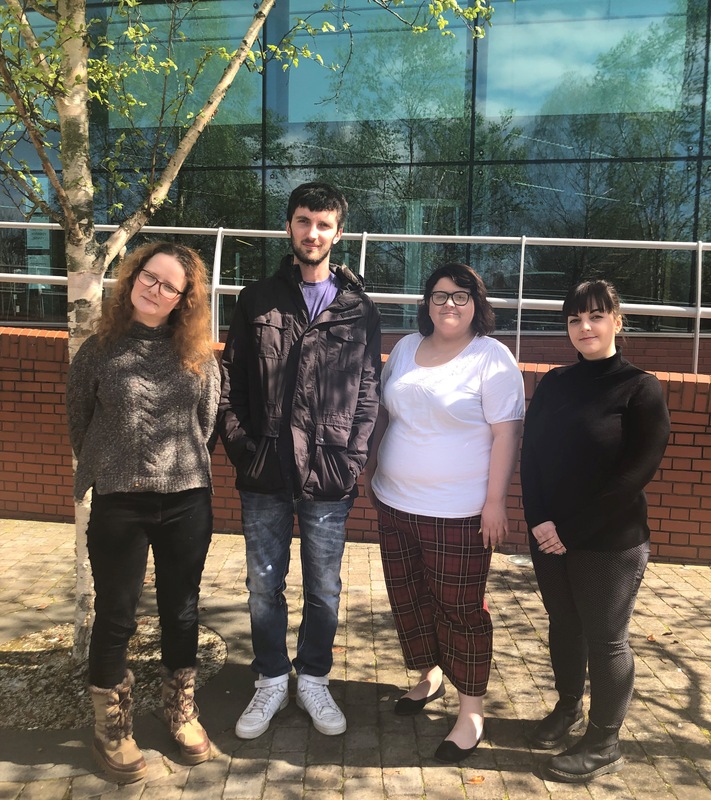 As part of their course module, 'Writing Futures', the students were assigned to help Light House Media Centre with their marketing, volunteering their time and services for the day. They had backstage access and worked alongside the TEDxWolverhampton volunteers to promote the event on TEDxWolverhampton and University of Wolverhampton digital channels including Twitter, Facebook and Instagram. The students provided updates throughout the day, attending all talks, chatting to hosts, speakers and visitors behind the scenes, helping to get #tedxwolverhampton trending worldwide. Louise Palfreyman, Visiting Lecturer at the University, said: “The aim of this module on the Creative and Professional writing course was to give the students some live experience out in the working world and the pinnacle of our achievement most recently was the TEDxWolverhampton event. Matt, 24 from Birmingham, said: “I’m extremely grateful for having the chance to cover a prestigious event such as TEDx. Not only will the experience help my future career in writing, it will also go towards my final portfolio this year. I want to say thanks to the University for letting us hijack their social media too. It was great fun and I’d love to do a similar event sometime. Chloe, 20 from Wolverhampton, said: “TEDx Wolverhampton has been such an amazing first-hand experience of working with other like-minded professionals. The event has provided me with a deeper understanding of live events and how everything works behind the scenes, from chatting with the hosts to the curator of the event; it has been a defining experience of my time at the University of Wolverhampton. I am so grateful for the opportunity the University has given me by handling their social media accounts, in particular their Twitter feed. I feel honoured to be able to bring more attention to not only our University but also the city of Wolverhampton, and give back to our local communities. Anyone interested in studying in the School of Humanities at the University should register for the next Open Day on Saturday 15th June 2019. Picture caption from left to right: Louise Palfreyman, Lecturer, Matt Leppington, Chloe Brown and Charlotte Ford.